A beautiful tribute to send that reflects your love and support during this difficult time. 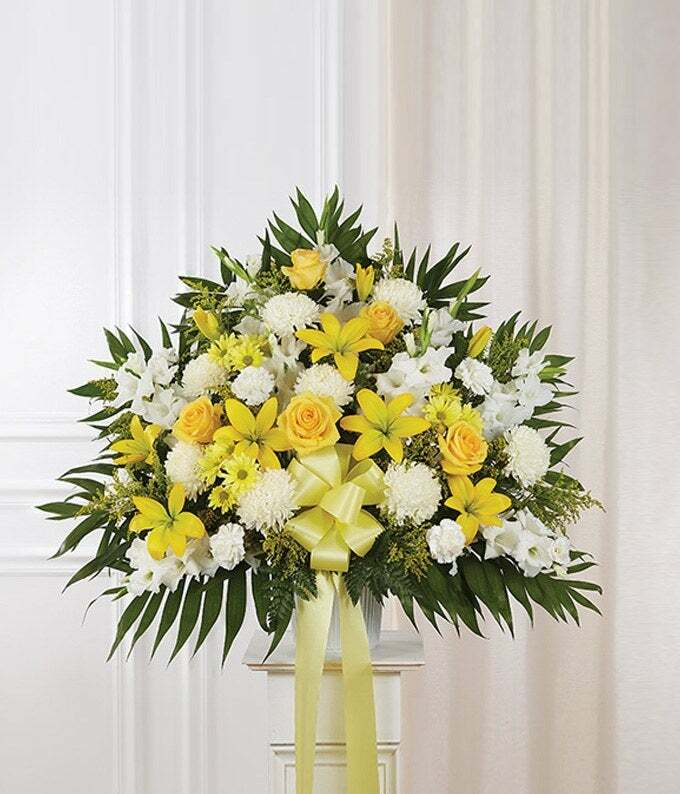 Hand arranged by a local florist with fresh flowers, including yellow lilies, yellow roses, white carnations and more. Available for delivery to a funeral home today, if needed. Medium measures approximately 32"H x 36"L without stand.